Positioning herself firmly against the Sonderweg thesis, Anderson reconstructs an entirely new understanding of imperial Germany. Unlike Wehler, who views assemblies like the Reichstag as nothing more than the symbol of a sham constitutional monarchy, Anderson takes the Reichstag and its members seriously. She does so because she argues that the members themselves took their positions seriously. If we accept Anderson’s argument, we are forced to see imperial Germany in a whole new light. Instead of a power hungry, conservative elite manipulating the German populace into submission and onto a “special path,” we see an active Mittelstand that took advantage of every opportunity given to it. Moreover, assemblies like the Reichstag were not shams at all, but instead vital institutions that created and fostered a democratic culture in imperial Germany. Bismarck implemented universal manhood suffrage for Reichstag representatives in 1867 as a way to implement (and control) socio-political reform from above and use the power of the masses for his own gains. But Anderson argues that the Reichstag representatives (and the men voting for them) took the position seriously. The dual nature of the German system meant that the Reichstag neither chose nor could depose the government (10), and so Bismarck thought that he could tap into a larger power base without the uncertainties of democracy. But, according to Anderson, the very fact that a democratic institution with universal male suffrage now existed began to cultivate a democratic culture among Germany’s male population. So, the existence of universal male suffrage politicized millions of Germans beginning in 1867, but another important step came in 1903 when Chancellor Bülow granted secret ballots for Reichstag elections. This was important, because up to that point, community leaders and bosses would use their influence to pressure voters to vote a certain way. Making the ballots secret removed communal pressure and thus made Germany’s democratic institution more individualized. Another challenge to communal pressure came in the form of the nationalist associations, which encouraged voters to throw off the chains of local pressure in exchange for larger, more nationalistic goals. “It was not in the exercise of individual freedom, but in competition between groups that democratic practice took hold in Germany” (417). Anderson argues that the first minority to fully politicize its members were the Catholics (84). Moreover, as time went on the existence – and the growing power – of the Reichstag became not only taken for granted, but expected to be an integral part of politics. And when men felt that their votes were being abused by unwanted influence, they appealed to the Reichstag and the government. Anderson argues that the sheer number of appeals and vote challenges on any number of issues shows just how seriously people took this ‘experiment’ with representation (33). And by the time the government threatened to do away with the Reichstag in the 1890s, they were continually thwarted, and the illegality of the government’s attempts seemed abhorrent to a group of men for whom a democratic sense had already been cultivated (247). Ultimately, the Reichstag elections (and the corresponding political mobilization of the masses) acted as a legitimizer – both for the imperial institutions that created the Reichstag, but also for the opposition who now had a legitimate way to voice dissent. Anderson’s work shows that while the Weimar Republic was Germany’s first democratic state, it wasn’t the Germans’ first experience with democracy. They had “practiced” democracy for decades. Running out of ideas for supper? Well, here’s a different one for you: how about combining pasta and tacos? You can’t really go wrong there. 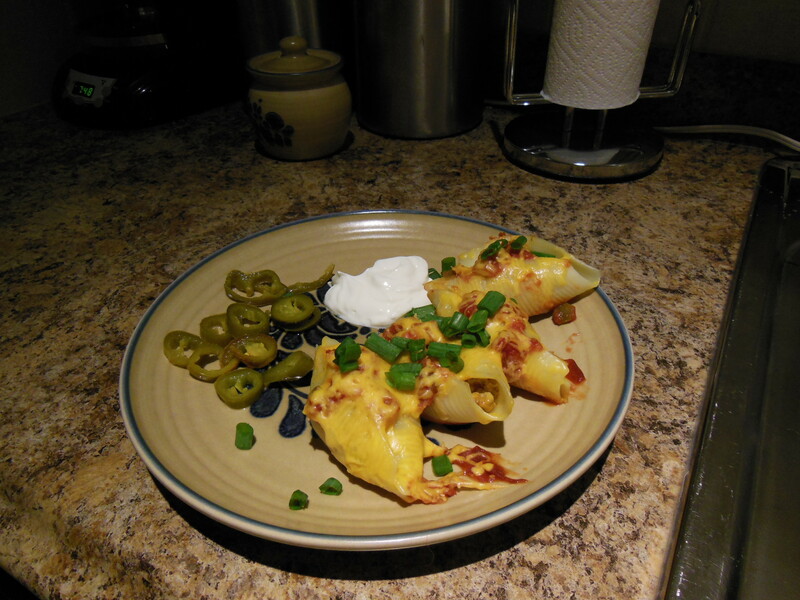 Here’s a recipe for taco stuffed shells – I was a little leery when I came across them on the internet (original recipe from Inspired Ginger blog), but I made them and damn they were good. 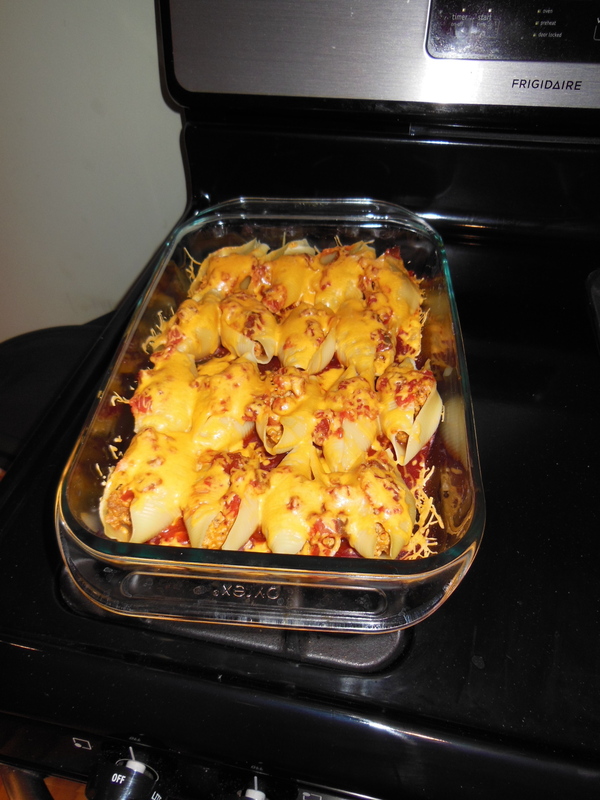 Again, they’re nowhere near healthy, but hey, if you’re reading a recipe entitled “Taco Stuffed Shells,” chances are, you’re not looking for health-food. 1lb ground turkey (or lean beef). 1 lb of meat filled 17 shells when I made it. So, you can be the judge if you have more folks to feed and want to make more of the meat filling. 4 oz cream cheese, cubed (or Neufchatel cheese has less fat) Again, if you want to make more shells, you’ll want to increase this. 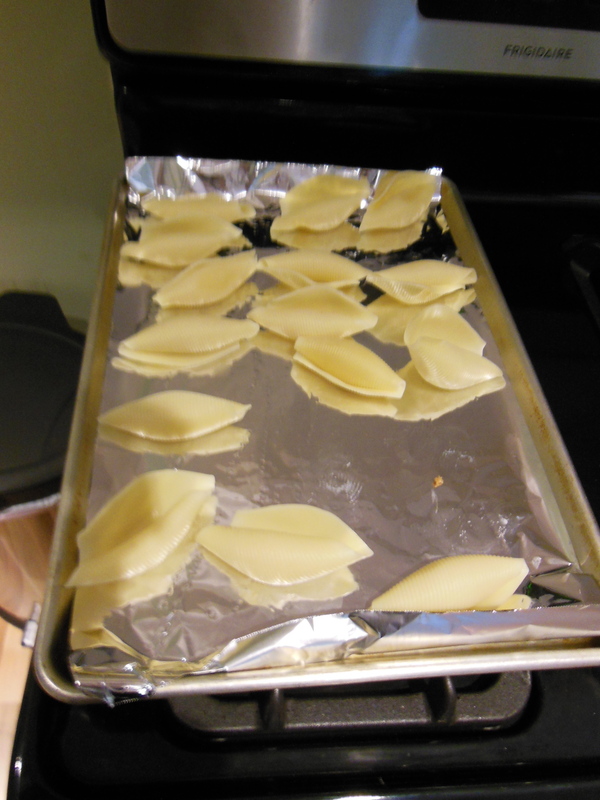 The meat/cheese filling in this recipe makes 15-18 shells, depending on how full you fill them. 1) Boil the shells in salted water until they are tender. 4) Brown the meet in a pan and when done, add & mix the taco seasoning. 5) Add the cubed cream cheese to the meet and cover so that the cheese can melt. Once it’s melted, then removed the meat/cheese mixture from the heat. 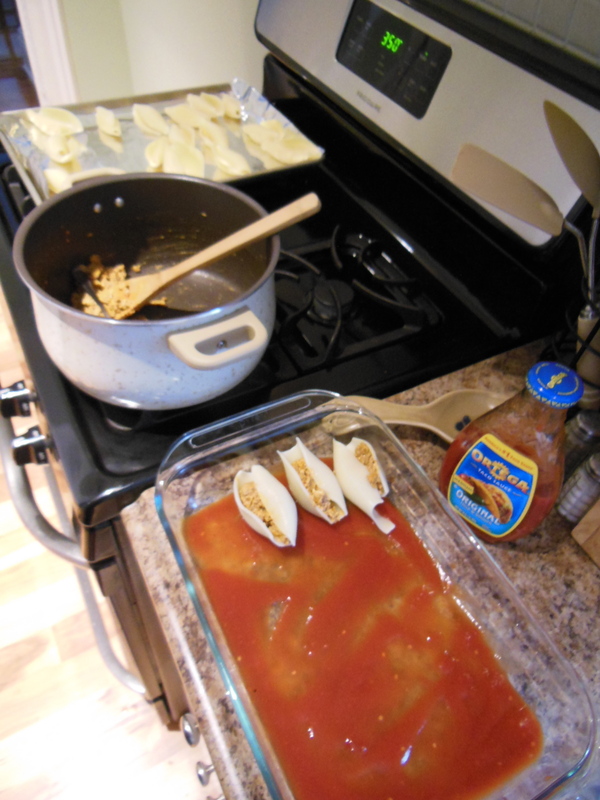 6) In a 9×13 glass baking dish, pour taco sauce to coat the bottom of dish. 7) Fill cooked shells with about 1-2 T. of meat mixture. 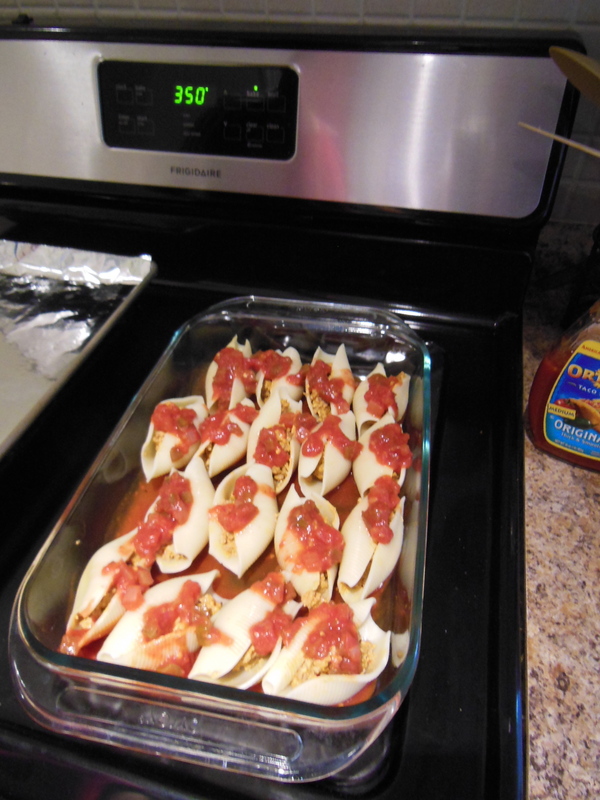 Place filled taco shells into the sauce-lined baking dish and then spoon salsa over the top of the shells. Cover and bake @ 350 for 30 minutes. 8) Remove from oven, uncover, and sprinkle cheese on top, return to oven for another 15 minutes or until cheese is melted and bubbly. Serve with sour cream, and toppings of your choice. Sperber, Jonathan. Rhineland Radicals: the Democratic Movement and the Revolution of 1848-1849. Princeton: Princeton University Press, 1991. In this interesting, thorough, and well-written book, Sperber challenges us to reevaluate the German revolutions of 1848, and indeed, pushes us to see them as stretching out until 1849. First, we must understand the nexus of socio-economic tensions that were present in the lead up to 1848. “Toward the middle of the nineteenth century,” Sperber writes, “much of the social and economic conflict in Germany centered around preservation of abolition of pre-capitalist market restrictions like feudal tenures or guilds.” The main factors that made up the “triangle of tension” were the market, the state, and the church (467). The “great grievance” of the independent and small producers centered on access to markets, which were usually controlled or subsidized by the state through taxes. The deciding factor of democrats being able to mobilize discontent seemed to be confessional divides: if the confession of the ruling monarch was opposite to the aggrieved populace, there was more conflict and political action. More than a reevaluation of the liberal revolution of 1848 in Germany, Sperber’s book seems to be a defense of the democratic revolutionaries. Sperber attempts to contextualize the liberal movement and show that a narrow set of constitutional goals was not the only thing that characterized the movement. The democrats, particularly in the Rhineland region, appealed to the grievances of women, soldiers, and peasants; but, the peasants were the most important group, because they had the largest numbers, and they had the most to gain from a new arrangement of state, market, and church. Therefore, the democrats did not simply campaign about liberal rhetoric when approaching the peasants. They “increasingly put themselves forward as leaders of popular struggles, attempting to direct them toward left-wing political ends” (473). In other words, far from being a small group of bourgeois liberals, the democrats actively attempted to tap into the larger grievances of the disenfranchised. Moreover, far from seeing 1848 as a failure, Sperber argues that it was a success in terms of mass political organization and engagement. Exactly as discontent with the Frankfurt Parliament’s failure grew, so did the numbers and mobilization of the democrats’ movement. So, spring of 1849 should be seen as the culmination of the revolution, not a “farcical epilogue” of the March revolution (475). Sperber argues that the revolution was only able to gain ground after February-March 1848 (which is when it’s traditionally seen as failing) because that failure acted as an impetus for more people to act, and the democrats were able to stear that discontent into a second phases of the revolution (35-54). And more people did take action into the spring of 1849 even though (and because) the Frankfurt Parliament had been defeated. In the end, the monarchies’ states simply had more manpower to put down the revolution. So, Sperber ultimately argues for us to view 1848 as a crushed revolution as opposed to a failed one. In light of Sperber’s “triangle of tension,” in which the state played an important role by controlling access to markets, we can see nationalism in Germany as opposed to the power of states. These democrats wanted a national German republic because they were against the strong monarchical states that were ruling them. Overall, Sperber complicates the traditional view of 1848, which pays too much attention to the strictly parliamentary aspects of 1848, or on the dichotomy of pre-modern and modern. In doing so, he challenges us to redefine our conceptions of “revolution” much like Eley and Blackbourn did in The Peculiarities of German History. This casserole was always a favorite around our house growing up, and it’s still what my brother asks for on every birthday. It’s nothin’ fancy, but it is gooood. And unfortunately, this is another dish that I didn’t take a picture of before we devoured it. Oh well, I guess I’ll just have to make it again…. Mix the soups, sour cream, curry, salt & pepper in a large mixing bowl. How much curry powder you use is ultimately up to you. We like a lot, so that the soup/cream mixture turns yellow. In a 9×13″ pan, layer the chicken, broccoli, and the soup mixture. Then top with a thick layer of cheese and sprinkle the croutons on top. As you can see, it’s probably not the best dish for trying to lose weight or anything, but it’s simple and easy. Plus, it makes enough that there are always leftovers (unless you’ve got a lot of folks to feed!) and it tastes good warmed up the next day, too! Marinate the pork in the juice of one lime while you prepare a medium hot fire (5-8 minutes). If you don’t have a grill, or it’s too cold outside to grill (like it always is in Buffalo), then simply pan fry it, use a George Foreman, or bake them. Grill the chops about 6-8 minutes on each side, until they’re cooked all the way through. Warm the coconut milk over low heat; season with salt and a pinch of cayenne. Add the juice from the second lime to the sauce. Transfer the chops to plates and spoon the sauce over them. Garnish with scallions and cilantro, sprinkling the juice from the last lime over everything. Serve with rice and remaining sauce. This is a really easy recipe, and surprisingly had a lot of taste. I wish I had a picture to post, but I was hungry the night we made these, and I ate it all before I even thought about getting out the camera! 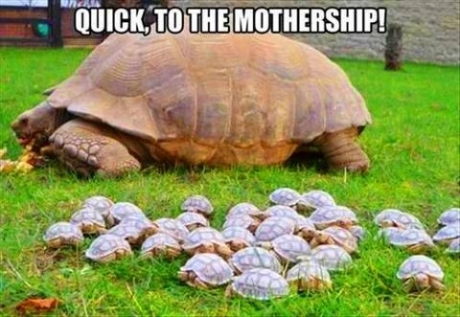 Just taking a break to provide you this turtle-themed entertainment. In the shadow of Nazi Germany’s defeat, the 84-year-old Meinecke sets out to discover and explain the longer roots of Hitlerism’s origins in Germany’s history. He seems to be hoping to answer the questions: Was Hitler a logical outgrowth of Germany’s development in the 19th century? To what extent was totalitarianism a peculiar German phenomenon rather than an aspect of general European development? Meinecke’s search for Hitlerism’s origins takes him back to the late 18th and early 19th centuries. The problems of booming population and innovations in power (both technological and political power) saw two “great waves” rise to answer these problems: socialism and nationalism. The first wave, socialism, sought to care for the needs of all members of society, to safeguard their standard of living. The second wave, though initially a liberal movement aimed at the individual’s right to freedom, eventually morphed into something more sinister: once individual freedom was secured, nationalism sought only political power for itself (1-3). To combine socialism and nationalism was no easy task; Friedrich Naumann dreamt of creating a national socialism that would not only secure the individual’s rights and safety, but also its welfare. This dream failed to come to fruition. Another dreamed to construct a national socialism: Hitler. Meinecke acknowledges that in order to combine nationalism and socialism, the firm power of the state is needed. After explaining the relationship between nationalism and socialism, and their peculiar manifestations in Germany (they mingled and fought more than in other countries, 7), Meinecke looks at “the historical force which helped most strongly in the building of the Third Reich:” militarism (47). The Modern technological militarist spirit of Hitler’s Germany had a prototype in the Prussian militarism created by Friedrich Wilhelm I, Meinecke states (39). The rise of militarism also a central them of Meinecke’s book: a duality of nature resembling Hegel’s dialectic view of history. Two forces are always struggling for primacy. In this case, a humanistic socialism was defeated in the revolutions of 1848, and a calculating and powerful nationalism (expressed by the “blood and iron”-type policies of Prussian/Bismarckian militarism). This militarism, which was a synthesis of intellect and raw power led to a tendency to be subservient, Meineicke argues (11). However, this subservient nature was obscured by militarism’s apparent success (proof of which was the power and discipline it enjoyed in forging the Reich in 1871). Militarism led to a loss of culture and produced narrow-mindedness, Meinecke goes to on say. Again, you see a dichotomy emerge: Kultur vs Civilization. So, out of the same bourgeoisie that produced Naumann’s dream national socialist movement came the hardening nationalism of the Pan German and Fatherland Party movements. World War One was the turning point for the German people, Meinecke insists. One the one hand you have Kulturmenschen who upheld the values of Goethe (a central hero in Meinecke’s book), which were the virtues of the individual, humane care of the social needs of the masses; on the other hand were the needs of the state, where organization was the essence of existence, thus leading to an indifference towards humanity. In this case, individuals were simply citizens of the state. The existence of extremely nationalistic organizations (the Pan German movement and the Fatherland Party are named explicitly) and the “stabbed in the back” theory were the fatal turning point in the evolution of the German bourgeois. This idea that “the military was working, but social radicals stabbed Germany in the back” closed the bourgeois’ mind to democratic ideals and pushed them to powerful militarism. This situation, plus bad social conditions (including but not limited to the decrees of the Versailles Treaty) were necessary for the existence of Hitler. Meinecke then spends time examining some of the aspects of Hitlerism (namely how power was the end goal for Hitler’s state, and in a chapter titled “The Positive Aspects of Hitlerism,” he states that while Germany may have experienced prosperity under Hitler (socialism), the state only sought prosperity in order to achieve power, not for the welfare of its citizens). But more interesting is Meinecke’s wrestling with the question of whether or not Hitler was a logical outgrowth of Germany’s development in the 19th century. Hitler’s national socialism, he says, did not evolve from solely German circumstances (how to deal with the problems of the 18th/19th centuries mentioned above), but, as an answer to those problems, it did represent an obvious deviation from the general European path (Sonderweg). In order to explain himself, Meinecke explains that society needs to retain a careful balance between rationality and irrationality (perhaps what he refers to in other places as civilization and culture, respectively). Rationality refers to logic & power (modern nationalistic movement) while irrationality refers to emotion & feeling (the humane socialist movement). Where Germany’s path diverged from Europe’s was when rationality stomped out irrationality with Prussian militarism. The character of Hitler’s Germans resulted from a continuous shifting of ideals Goethe’s time, a disturbance of the equilibrium between rational and irrational. This may lead one to assume that Hitler’s national socialism was indeed the next “logical outgrowth.” But here, Meinecke’s reasoning changes suddenly, stating that “a chance chain of events” led to Hitler. This is backed by his explanation of “chance” in historical development, which can be translated perhaps as “the role of personality” in history. The main “chance event” was the fact that Hindenburg was weak and named Hitler chancellor of Germany in January 1933, Meinecke asserts. The book ends with reflections on the future of Germany and how it can find “redemption” under the foreign rule of the Victors. In the future, the only place of power that Germany should find should be in some type of European Federation. 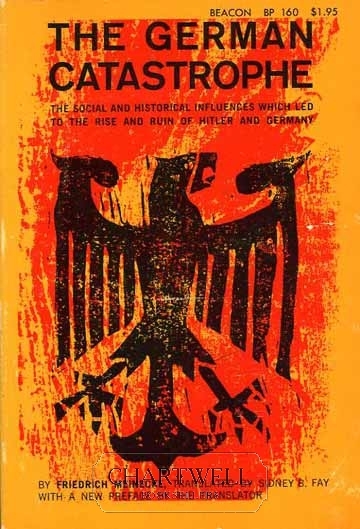 While it is interesting to read the thoughts of someone who had just lived through the foundation of the German Reich and seen the downfall of the Third Reich, I found Meinecke’s book more problematic than helpful. His dualistic understanding of reality and the forces of history is oversimplified, I feel. Also, it seems that everything has the seed of its own undoing (nationalism was started as a liberal force, but its greed for power led to its abuse). Lastly, his sudden shift of perspective – from large “waves” or historical forces, to the importance of personal attributes – is troubling – and seems to come at just the right time to “get the German people off the hook.” He speaks of the Third Reich as a period of “inner foreign rule” (103), which exemplifies a view that would become popular in Germany: that the horrors of WWII were led only by a small handful of Nazis at the top who coerced and tricked the mass of the innocent people. Wehler, Hans-Ulrich. Deutsche Gesellschaftsgeschichte: Bänder 1 bis 5. Munich: C.H. Beck Verlag: Erster Band, 1987; Zweiter Band, 1987; Dritter Band, 1995; Vierter Band, 2003; Fünfter Band 2008. 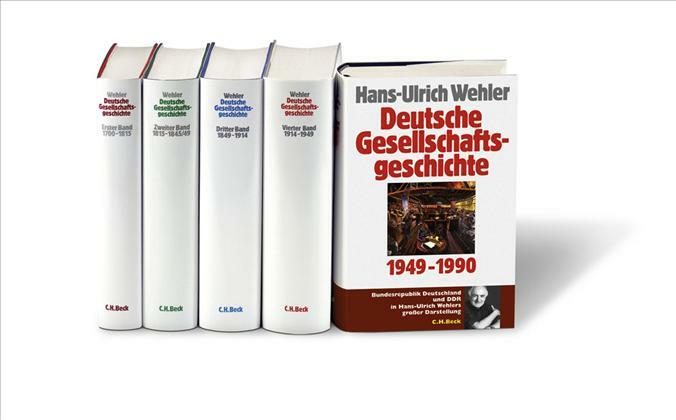 In these five volumes (totaling over 4,300 pages), Wehler produces a history of Germany from 1700 to 1990 that attempts to provide a “total” view of the centuries under study. Representing over thirty years of work, Wehler’s Gesellschaftsgeschichte is an impressive show of energy and commitment. It is also an important contribution to anyone studying German history. His approach, “societal” or “social” history, should not be confused with the “social history” of the Anglo-American world of historians, which omits politics and/or culture. For, Wehler’s history (though seemingly “total” in nature) is organized around three axes: 1) economics, 2) power (Herrschaft), and 3) culture. This political/power aspect is central to Wehler’s history, because his is ultimately defending the German Sonderweg thesis, asserting that the problem in German history is of a political nature. Therefore, these volumes (the first four, a least) can be seen as an attempt to explain the origins of the Third Reich’s National Socialism. In the first volume (1700-1815), Wehler sets the stage for the German Sonderweg. Germany’s eighteenth century regimes were characterized (or more accurately: plagued) by social, institutional, and fiscal constraints on territorial absolutism. In this “backwards” situation, bureaucratic absolutism had merged with feudal social relations, thus, Wehler argues, rendering these regimes unable or unwilling to carry out the “revolution from above” that they are usually posited with. Instead, the German lands were forced to undergo a “defensive modernization” (defensive Modernisierung) in the face of French occupation and Napoleonic reform. This already sets Germany apart from other Western European entities, like England and France, that underwent a self-propelled modernization. The second volume (1815-1845/49) looks more closely as this process of ‘defensive modernization’ to see what it actually looked like. He warns against overemphasizing the emergence of any industrial revolution during this time by highlighting the fact that agrarian production (and the correlating social relations) remained dominant until the mid 19th century. In the end, he does cede that the years from 1750 to 1850 constitute a “fundamental break” in German historical development; so Germany ultimately modernizes, though in a different manner than France and England. According to Wehler, the years between 1845 and 1849 represent a “double revolution” (Doppelrevolution) that Germany experienced: 1) a successful industrial/economic (capitalistic) revolution, and 2) a failed, political (liberal, popular) revolution. Again, these developments lead German society more firmly along its Sonderweg. The third volume (1849-1914) covers the era from the end of the “double revolution” to the beginning of the First World War. This obviously includes the “settling” of the German question with a forging of a “kleindeutschland” through Otto von Bismarck’s “iron and blood” policies. The Bismarck of this book is portrayed as one that sat atop a conservative, traditionally aristocratic ruling elite, and repressed German liberalism’s advance towards its political goals. Therefore, this takes the ‘blame’ for Germany’s failed social and political revolution away from the bourgeoisie and places it at the feet of the elite. Ultimately, this volume concludes that Germany’s rigid class structure, “sham parliamentarianism,” exclusive national identities, and its partial modernization (a pre-industrial elite ruling over an industrial society) all contributed to the triumph of National Socialism in 1933. The fourth volume (1914-1949) covers both World Wars as well as the four years of direct Allied control over a divided Germany. Wehler’s criticism of several groups becomes apparent in this volume, beginning with social elites (especially the Bildungsbürgerturm and the nobility), but he also criticizes the radical left for also not being willing to compromise (the Communist Party’s hostility towards the Weimar Republic and the SPD, for instance). In Wehler’s eyes, it seems like the Weimar was doomed to fail because the democratization did not come from a long, internal process, but was forced on Germany by the Allies (and accepted internally only as a “cynical last-minute reflex to avert full-scale revolution”). He then turns his criticism towards the democratic forces in play at that time, arguing that they were not assertive or demanding enough in their efforts to bring fruitful democracy to Germany. When addressing the Third Reich (the violent, genocidal culmination of Germany’s Sonderweg), Wehler’s debt to Max Weber becomes apparent. For, he uses Weber’s theory of charismatic ruler to analyze Adolf Hitler’s influence over the Nazi State, concluding that Hitler’s personality provided much dynamism to the party and granted him his legitimacy. Wehler almost unwillingly concedes that the Third Reich did have some modernizing aspects; other historians have also talked about these “successes” of the Nazi Party between 1933 and 1939. Wehler points to a growing social equality within the framework of the Volksgemeinschaft, however emphasizes that this “national community” was defined on very narrow, racial terms. Lastly, Wehler attributes both the survival of portions of Germany’s industrial sector (namely a few plants and a highly trained workforce) and the success of the Marshal Plan (and currency reform) as the driving factors for West Germany’s rapid economic recovery. In volume 5 (1949-1990), Wehler focuses mainly on West Germany in the “short twentieth century.” He argues that this short twentieth century ends in the year 1990 with the absorption of the DDR into the Federal Republic (as opposed to 1991 with the fall of the Soviet Union). He backs up this claim by suggesting that the fall of the USSR in 1991 actually begins a new era (and doesn’t end one), because with the absence of the Soviet Union, the world is no longer under a polar system of power. While the United States enjoyed a brief moment of hegemony, other powers were able to step onto the world stage in the USSR’s absence: China & India. Moreover, he states that by the mid 1990s, religion had taken on a surprisingly (“breathtakingly”) powerful role in the world. When looking the new German states during this time, Wehler adds a fourth axis around which German history turns: social inequality. This theme features prominently in this volume, and in fact, it is one that he helps define the new 21st century. Wehler unapologetically grants most of his attention to West Germany after 1949, and claims that the DDR never existed in its own right, but was merely a satrap of the Soviet Empire. Significant cultural or social developments didn’t occur because innovative impulses had been shut off from East German cultural life by the Party’s dictatorship. The Federal Republic, on the other hand, immediately developed into a parliamentary republic with a future. The implantation of a soziale Markwirtschaft was only possible in (West) Germany because Germany had had a tradition of state intervention that ran longer and deeper than anywhere else in Europe. Moreover, Wehler doesn’t grant as much attention to the DDR because it was doomed to fail, he says, and it has become the burden of the new Federal Republic to correct the former DDR based on the West German model. Wehler’s work is impressive and intimidating. It is interesting, though to see him formulate and defend the Sonderweg thesis (I was quite convinced by Blackbourn and Eley’s argument against characterizing Germany’s process of modernization as “peculiar). The sheer thoroughness of Wehler’s evidence gives weight to his argument, though. But I’m not convinced, for one particular reason: While Wehler’s work constitute a rather “total” history of the last 300 years of German history, it’s lacking any color. By that I mean, the ‘real,’ everyday people are missing, though, it is granted that he never said Alltagsgeschichte would be one of his three axes around which German history rotated. As a result, his work seems very scientific: beginning with a hypothesis/theory, and then proving it with evidence. But then again, this is Wehler’s intention: to create a historic social science. Lastly, the last volume seems to directly confront the argument of a German Sonderweg that he had been establishing since the beginning of his work. “Despite all of the burdens that were bound to it by its special historical conditions, Germany remained an undisputed part of the Western world until 1914. Beginning with the First World War, and then fully by 1933, it had completely diverged itself from the western cultural sphere with the fatalist of consequences” (425). Only after 1945 did West Germany, with determined effort, return back into the West (with not all thanks being reserved for the work of the Allies). In fact, the quick rebirth of West Germany (economically, politically, and culturally) can be traced, above all, Wehler says, to the fact that a basis of political and mental traditions survived the chaotic epoch of the “Second Thirty Years War.” This new approach of Wehler’s takes the Third Reich not as the culmination of a longer Sonderweg (as he says he is looking for in Volume 1), but instead as a 12 year, short Sonderweg, after which, West Germany quickly regains its spot in the West through strong continuities that may have been shaken by two world wars, but remained intact. (Volumes 1 & 2): Charles E. McClelland in The Journal of Modern History, Vol. 62, No. 1 (Mar., 1990): 184-186. (Volumes 1 & 2): James Van Horn Metlon in The American Historical Review, Vol. 95, No. 1 (Feb. 1990): 189-190. (Volume 3): James Retallack, in German Studies Review, Vol. 20, No. 2 (May, 1997): 339-340. (Volume 4): Raffael Scheck in German Studies Review, Vol. 29, No. 1 (Feb., 2006): 198-200.